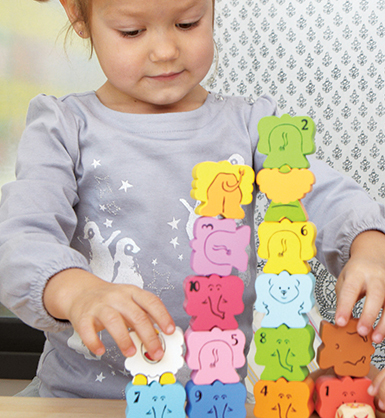 The elephants are ready to impress in this thrilling building game for kids. Help the circus troupe in their star attraction but don’t let them fall! 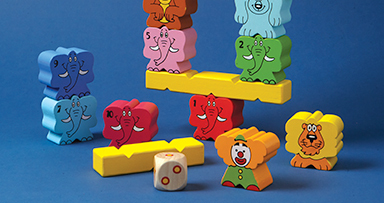 Taking turns, roll the die to find out how many elephants you must stack on to the pyramid. The player who manages to place the last elephant on the pyramid wins. 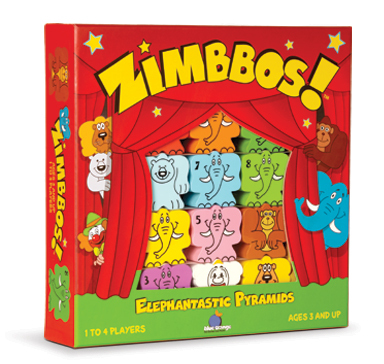 The perfect first game, Zimbbos teaches color recognition, counting, and develops dexterity and balance awareness. This all wooden building game is sustainably made.